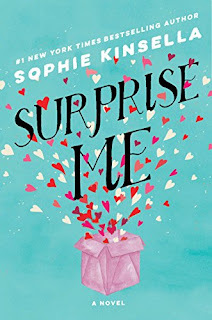 Sophie Kinsella is one of my favorite authors when it comes to a humorous look at life. 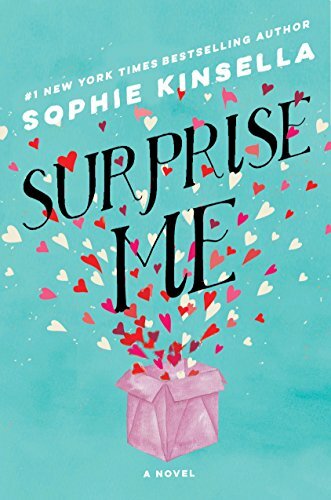 She once again brings humor to a relationship in her latest novel, SURPRISE ME. Stunned by the fact that she and her spouse might possibly be married for decades longer than anticipated, they come up with a plan to keep their relationship alive by surprising each other. But the surprises begin to backfire and cause trouble instead. It is a laugh-out-loud novel that is sure to lift your spirits. Highly recommended. Sophie Kinsella is a writer and former financial journalist. She is the number one bestselling author of Can You Keep a Secret?, The Undomestic Goddess, Remember Me?, Twenties Girl, I’ve Got Your Number and Wedding Night, the hugely popular Shopaholic novels and the Young Adult novel Finding Audrey. She lives in London with her husband and family. She is also the author of several bestselling novels under the name of Madeleine Wickham.